Over College provide scorlarship and loan facilities. Inform to all students for loan and scorlarship required documents. Final provide form for scholarship and loan form for students. Help ful management in over College. Everything is good in over College. 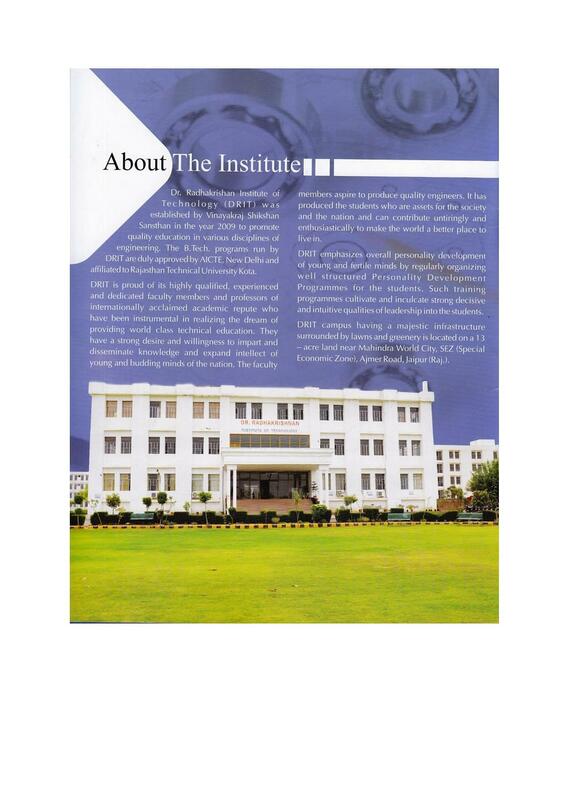 Management, faculties, activities, senior. Help ful all students and management. 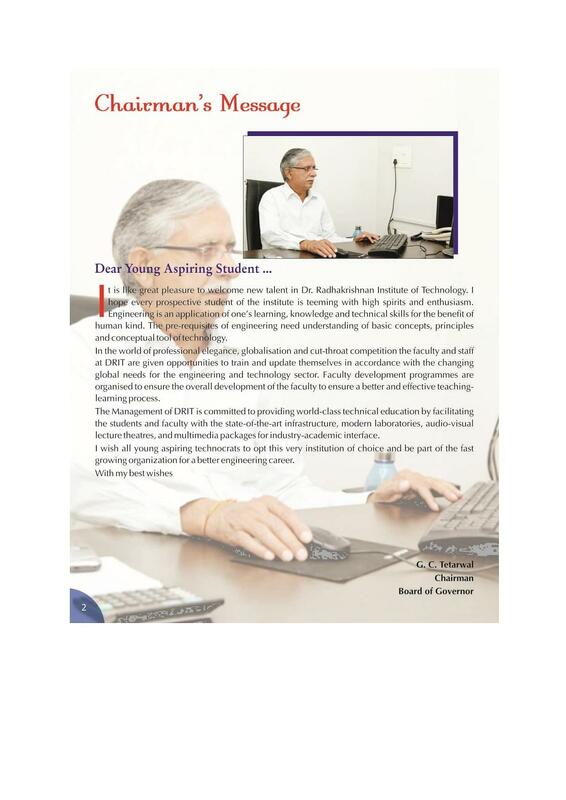 Dr Radhakrishnan Institute of Technology was established in the year 2010 under the aegis of Vinayak Raj Shikshan Sansthan. 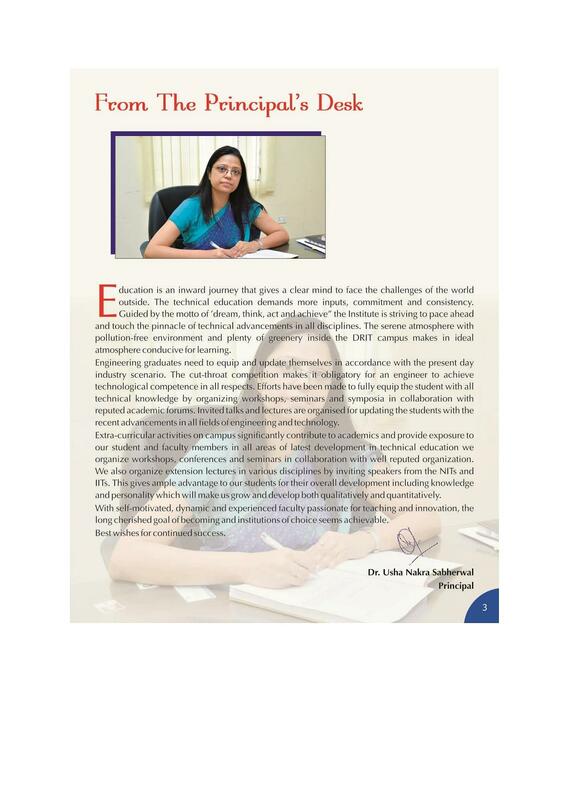 College is proud of its qualified and dedicated faculty who are providing good technical education. 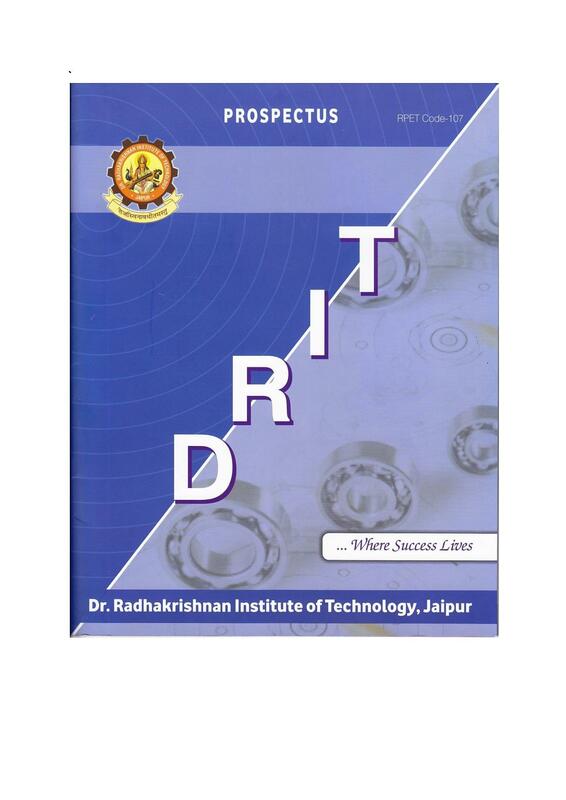 It is affiliated to Rajasthan Technical University and is approved By AICTE. 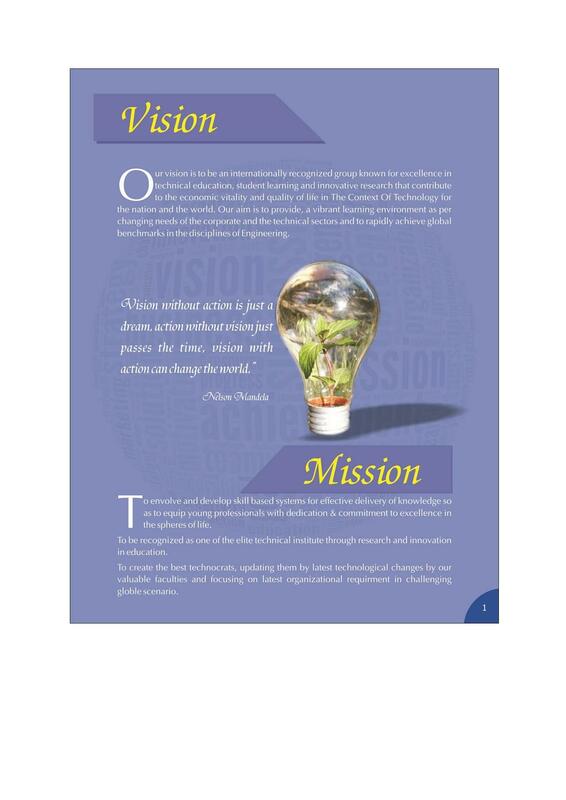 Library: Library has housed over 18000 books related to all topics in engineering disciplines. It also has 200 CDs/DVDs and also subscribes to various e-journals. 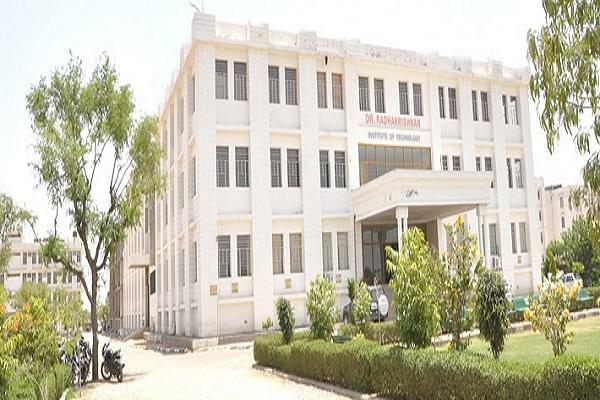 Seminar Hall: College has modern well designed seminar hall in which all necessary workshops and seminar are held. 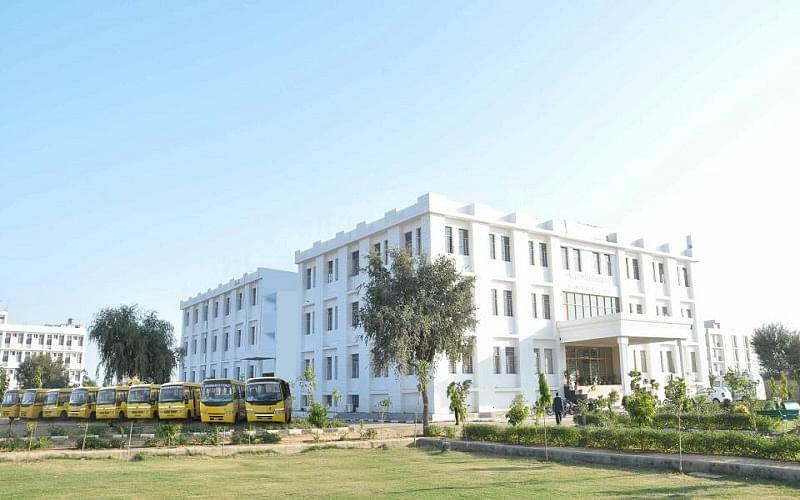 It has a seating capacity of 350 students. 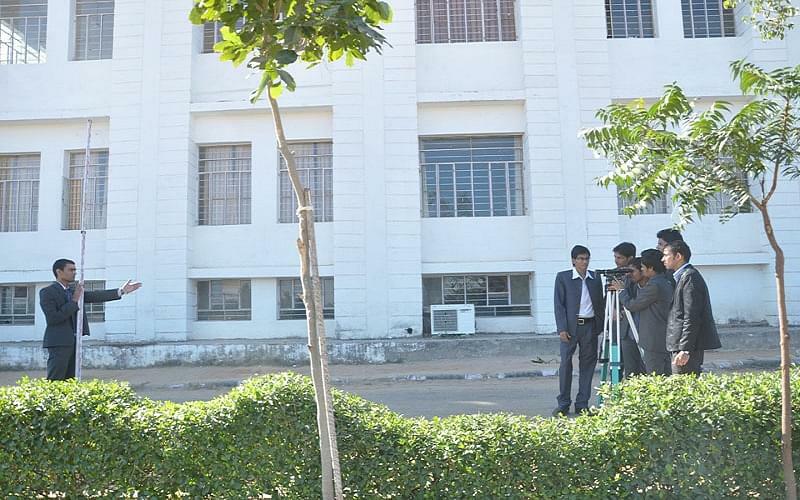 Hostels: Separate hostels in the campus with tight security and warden taking care ensure a safe and pleasant stay in hostels. Rooms are available on sharing basis. 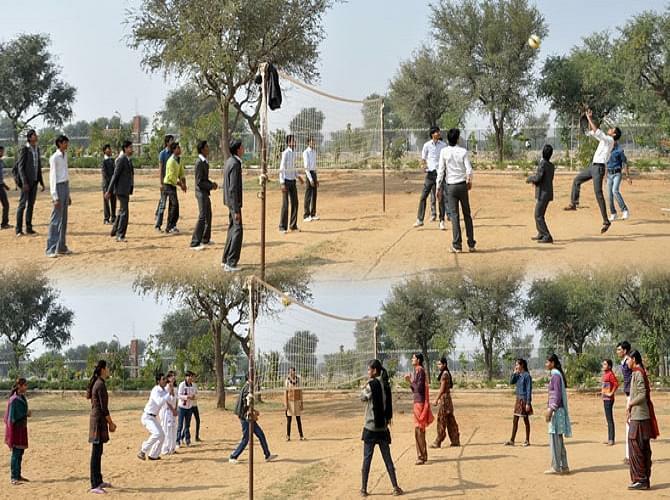 Hygienic food, TV, indoor games and internet are the various facilities that are available in the college hostel.